The Minimum Viable Product (MVP) is a prototype to test the core of your idea or the biggest assumption in your business model. Usually it does not cost much money and it is easy to apply. A Minimum Viable Product (MVP) is a prototype that focuses on the most important part of a product or service. It is typically offered to a group of potential customers. The most important aspect of the prototype is viability in order to test the core of the value proposition, to learn from it and to be able to replicate the idea. This is not a pilot project, which instead is designed to test the final product with a selected customer group. The concept of the MVP became popular with Eric Ries’s approach, in his book ”Lean Startup“. The aim of a MVP is to avoid the risk of building products or services that nobody wants. Eric Ries defines the MPV ”The minimum viable product is that version of a new product which allows a team to collect the maximum amount of validated learning about customers with the least effort“. For example, Dropbox used the concept of a MVP and created a 3-minute explanatory video in order to demonstrate the product. Their sign-ups went up from 5,000 people to 75,000 overnight — without having a real product. Use a Canvas Model or the Value Network and identify the core of your idea to test or the biggest assumption in your business model that needs to be verified. Have a look to the Examples on this page to see how a MVP can look like. Early testing can help reduce the use of resources – money, time and other resources. Focussing on the problem solution fit helps to create sustainable solutions and an empathy driven value proposition not only for the customer but also for all groups explored with this tool. If you decide to add responsibility (raw materials, resources, transparency) to your prototype, this would help you design a business model that is based on your defined values. 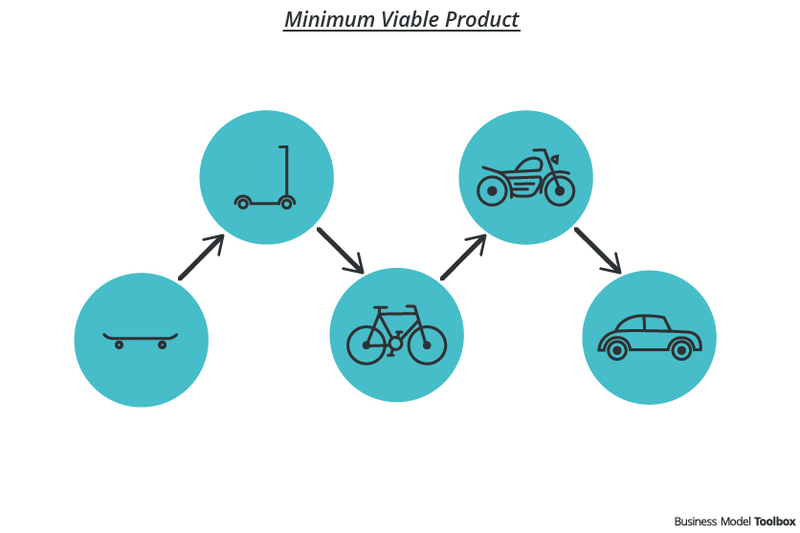 Techcrunch: How to create a Minimum Viable Product? Eric Ries: Venture Hacks interview: What is the minimum viable product?